Russell Westbrook is on a tear this season. The Oklahoma City Thunder guard is closing in on averaging a triple double and is in the conversation for MVP of the league. Last night the guard faced off against old teammate Kevin Durant and the Golden Skin State Warriors, and it looks as if the two still aren’t on speaking terms. The beef between the two started in the offseason when Durant bolted from the Thunder to join their nemesis the Warriors. The two tried to downplay it, but the emotions have been high between the All-Star players and their teams ever since. 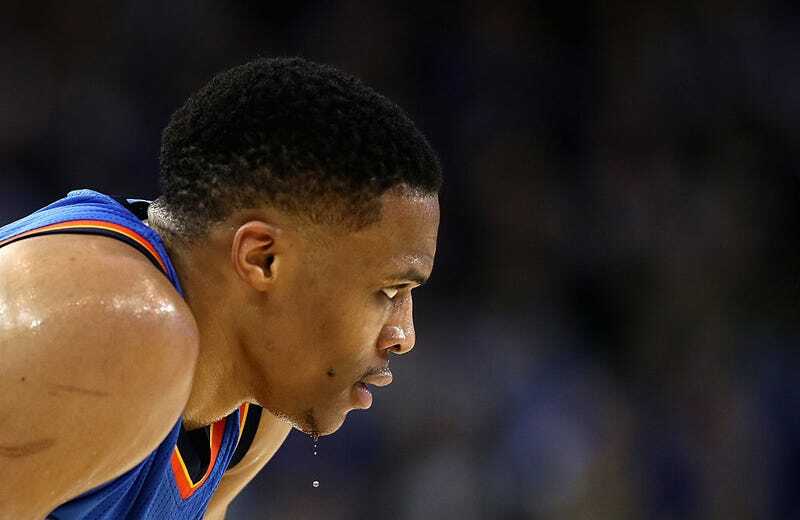 During Thursday night’s game, Warriors center Zaza Pachulia fouled Westbrook hard. The foul wasn’t the issue, but as Westbrook rolled on the floor in pain, Pachulia stood over him, staring.